According to a human rights group, a mother of two killed herself and her two children while two other women committed suicide due to extreme poverty in western Iran. 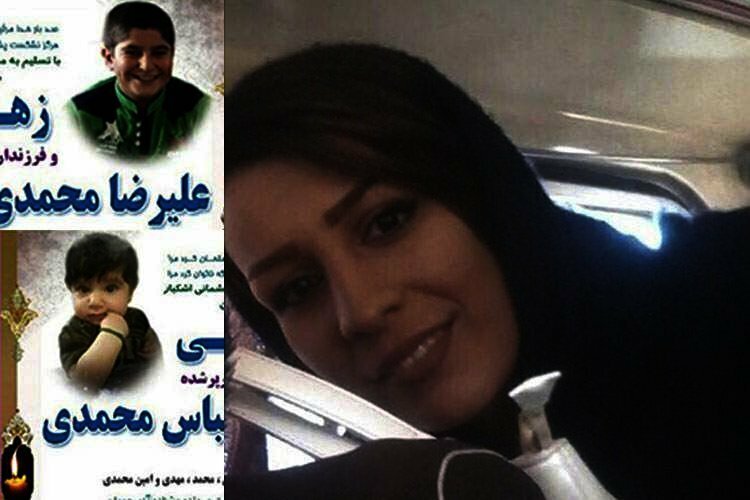 According to the Hengaw Human Rights group, on Sunday, February 10, a young mother from the town of Sahneh in the western province of Kermanshah hanged her two sons identified as 6 year old Ali-Reza and 3 year old Amir-Abbas and then hanged herself. The mother was identified as Zahra Rahmati. Informed sources said that she killed herself and her children as a result of extreme poverty. Another woman identified by her last name as Badpima killed herself in the western province of Ilam on Friday February 8. Hengaw said that she was suffering from depression as a result of poverty and unemployment. The report said that the 40 year old woman committed suicide by taking drugs. She had lost her parents a few years before and lived alone. A 25 year old woman identified as Suma Salavati committed suicide yesterday in Sanandaj in the western province of Kurdistan. The report said that Suma Salavati, who was married, hanged herself but that her motive was unclear. According to Hangaw, at least five women have committed suicide in Kurdistan since the beginning of 2019. “From 2011 to 2015, suicide rates increased 66% amongst women and 71% amongst men”, Khabar online wrote. “For years now, the media have not been given stats when it comes to suicide rates as relevant organizations refuse to publish them”, the website added. The report also says that suicide rates are also very high among young people. Although relevant authorities do not publish accurate reports of suicide rates or deaths from it, the spread of this catastrophe is such that government officials call it an “epidemic”. According to officially announced reports, more than 3,300 women committed suicide in Iran in 2017. The shocking new figures on suicides in Iran was revealed for the first time by one of the deputies of Iran’s Ministry of Sports and Youth. In light of the Iranian regime’s lack of transparency and government agencies’ failure to accurately register data, actual figures are much higher. Mohammad Mehdi Tondgooyan, the Deputy for Youth Affairs at the Ministry of Sports and Youth, announced on August 19, 2018, that the suicide rate in Iran was estimated at 4,992 suicides in the (Persian) year ending in March 2018. On women’s suicides, Tondgooyan said that the “rate of attempted suicides in women was about two thirds, and one third in men,” implying that nearly 3,300 women committed suicide in Iran in the period of only one year, which amounts to 9 women per day.